About Our Firm | White & Weddle, P.C. If a case can be tried, we will take it on. Because of the amount of money at stake in the civil litigation cases we handle, we project a winning attitude from the very beginning, maintaining positive, individualized service for each of our clients. Trial attorneys Joe E. White, Jr. and Charles C. Weddle III lead our law firm in Oklahoma City. With more than 35 years of combined experience, our team of attorneys have been listed in Super Lawyers and The Bar Register of Preeminent Lawyers, among other honors and awards. In 2016, Attorney White was inducted to the International Academy of Trial Lawyers and is recognized as a member of the American College of Trial Lawyers. No challenge is too large. 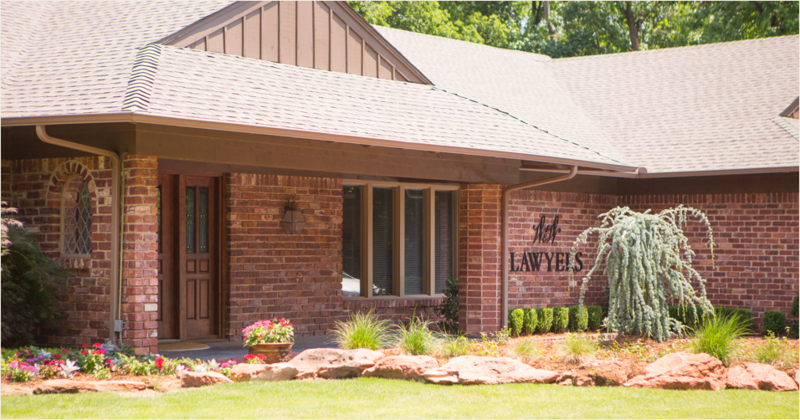 We reaffirm this every day with the wide variety of civil litigation cases we have handled for individuals and businesses throughout Oklahoma. We frequently go to trial in wrongful death cases, personal injury cases, and bad faith insurance disputes, winning multi-million dollar verdicts against big name opponents like Farmers Insurance Company, Mid-Century Insurance Company, Oklahoma Farm Bureau Mutual Insurance Company, GuideOne Insurance, and Louisville Slugger. We pour extensive research and planning into every case. By conducting mock trials, bringing in jury consultants, and working with shadow juries, we’re able to prepare a case from every angle. Defense teams know our reputation for preparation and winning verdicts. When we request a settlement, they are often willing to provide it rather than face us in the courtroom. Personalized attention starts by ensuring a direct line of communication. We’ll share the personal phone number of the lawyer handling your case and always keep you abreast of your case status. This level of individualized attention is vital in every case we handle. As contingent fee attorneys, we work without pay until justice is achieved. You don’t have to worry about additional rates before your case is settled. We’re passionate about righting wrongs, and we want to get justice for your case. White & Weddle, P.C.’s attorneys serve all 77 counties in Oklahoma, including its three federal districts. White & Weddle, P.C. has successfully prosecuted wrongful death cases, personal injury cases, and other complex litigation in Arkansas, Kansas, Montana and Texas. These published verdicts are the result of our most influential work as trial lawyers. Experience that compels juries to stand up for our clients’ rights. Contact us to share more about your story. © 2019 by White & Weddle, P.C. All rights reserved. should not be interpreted as legal advice.